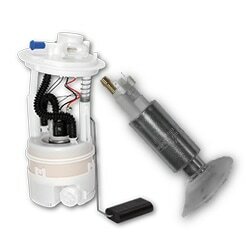 Fuel pumps and feed units are one of the company’s most important product lines. It is an accurate selection of products conceived on the basis of current market needs. The range is constantly updated, introducing new OE and alternative versions. The consumption and the vehicle speed determine the shape and volume of the tank. The structure of the tank influences the shape of the feed unit, its position and the fuel measuring method.